Today's cotton and linen yarns are perfect for summer apparel! 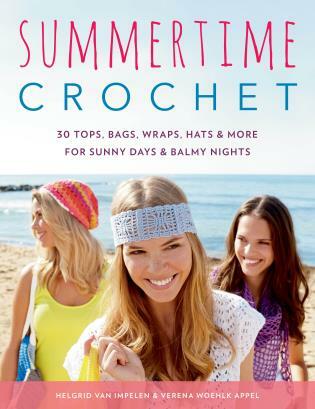 Breezy tanks, motif tops, and cute hats can all be crocheted and are just right for warm-weather style. Fill your summer wardrobe with one-of-a-kind items that have you looking your best for every occasion. Helgrid van Impelen, fashion designer and clothing engineer, and Verena Woehlk Appel, visual merchandising specialist, met while both working for a renowned Munic furniture retailer, and quickly discovered their shared love for textiles, beautiful crafts and creative work. While one of them became self-employed, launching her own label, and the other developed creative workshops, the former colleagues turned into friends who continued to motivate and support each other.